Do you want to launch your new business online and want to easily acquire public exposure and positive feedback? While costly branding and marketing campaigns might have a positive effect on the long run, there are some other ways which can improve your business’s visibility in no time. Why not appeal to specialized Search Engine Optimization (SEO) techniques which can boost your online web engine searches and make you come up on the top results in plenty of keyword combinations? However, if you are new on the market, you may require the help of more experienced specialists who can advise you wisely, so that your business will become successful too. Commit and involve yourself in the process. Although you may consider you do not have the necessary skills to run a business, and you ask others to do this for you, it would be best to still remain actively implicated in the process, in order to acquire more information, and to improve your managerial skills. And with search engine algorithms constantly being on a change, you ought to be dynamic and ready to succeed, through a long-term commitment. 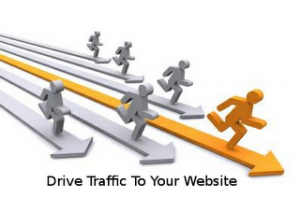 Appeal to specialized SEO companies. A SEO company is entitled to provide you not only with valuable tips and advice, but also to put your business on the right track to success. Gain more exposure through a well-built website. There is no better advertising than your own company’s website, so make sure it is readable, catchy and easy to navigate. You can even include a site map page in order to direct customers easier towards what they really want, and always look for improvement. Apart from appealing to affordable and specialized SEO service, you can also consider asking for your clients’ opinion. This way you will improve the drawbacks of your website easily, based on real-time and sincere feedback from your users. Avoid spamming the content with keywords. Bear in mind that you only write the content for your readers, with emotions, needs, and reading skills. This way you should always consider creating the best content, without stuffing it with useless repetitions of keywords, like a big turkey on Thanksgiving. Keep your content simple, and let keywords flow naturally. This is an easy trick to keep your former clients/ readers, as well as acquiring new ones. Make your content unique, mind-blowing, and, most of all, relevant. With literally billions of web pages currently existing over the Internet, it has become extremely hard to disseminate the good and relevant contents from the fake, ballast ones. Thus, if you want to make sure your webpage does not end up in the infinite virtual recycle bin, keep your content is relevant for your users or readers. Try writing on niche subjects. Although it may be hard to find a niche subject nowadays, at least try to focus on those areas, related to your work of interest, but which have not been yet fully exploited by others in their content writings. This way, you can make your web engine searches more relevant.